MK Profile Systems is expanding its service range and enhancing its QuickDesigner conveyor configurator. The available options now also include adjustable side rails and new stand systems. 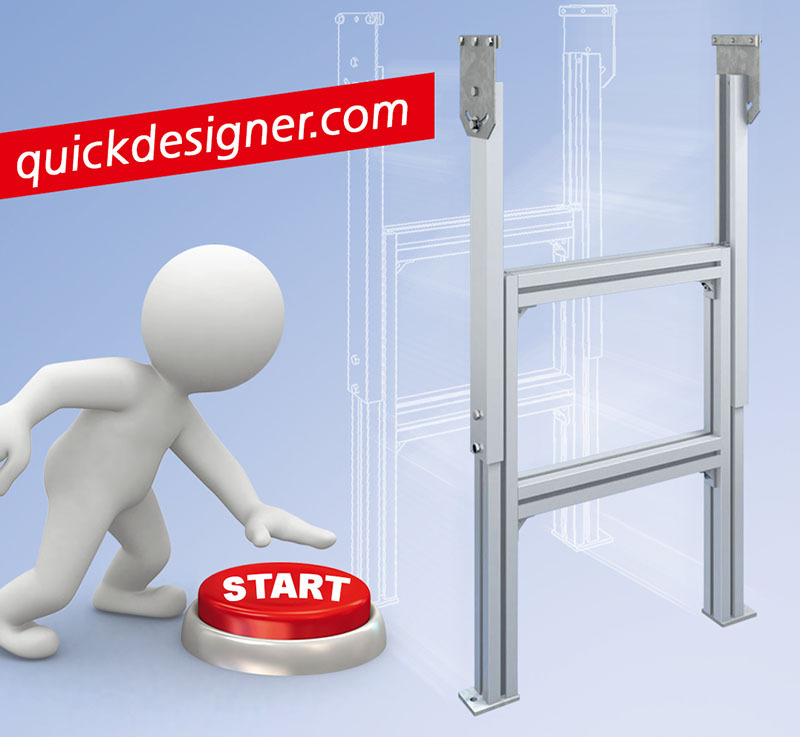 Two new options have been added to the QuickDesigner, the convenient tool for creating customised belt conveyors, including CAD data and quotation, in just a few simple steps. Therefore MK can now respond to the customers’ requirements in even greater detail and provide an even larger variety of variants. One new addition is the adjustable side rail SF01, which is now available alongside the range of fixed side rails. 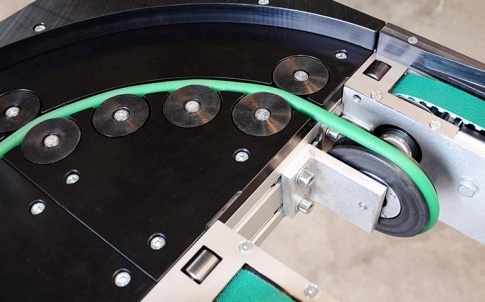 This side rail is a particularly effective solution for positioning products on the conveyor belt. The usable width is quick and easy to change and the height can also be adjusted. The large selection of different side guide rails ensures the optimum adjustment to the contour of the product being conveyed. In addition, the medium-heavy stand 53.2 based on the mk profiles mk 2000 and mk 2014 has been added to the range of stands. This stand is a more robust version of the height-adjustable, lightweight stand 53.1 based on the mk 2001 profile. 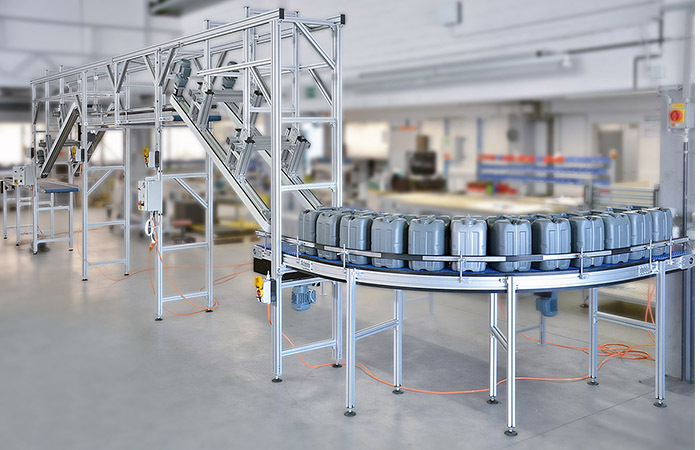 This H-design system can be used in practically every conveyor system and is available in standard heights of 325 mm to 1200 mm with adjustable ranges of up to 200 mm. With over 10 years experience, mk Profile Systems is a leading supplier of aluminium profile based modular components used in automation systems, machine building & systems integration. Our four main business areas are Profile Technology, Conveyor Technology, Linear Motion and Factory Equipment. Our comprehensive range of over 250 Aluminium Profiles includes 25, 40, 50 & 60mm series profiles, all made from high-quality alloys. We have various connecting methods as well as accessories and standard parts. This provides organised functionality for modern machine building. 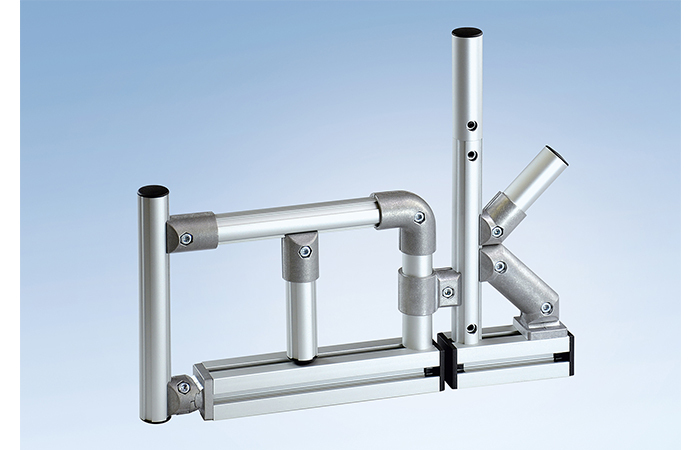 mk’s 24 Conveying Systems are fully compatible with the aluminium profile system. They include conveyor modules such as flat-belt, twin-belt, timing belt, chain, flat top chain and roller for automation purposes. 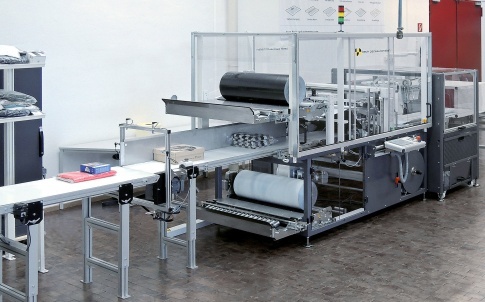 Our conveyor technology offers you simplified planning and design due to our standardised modules. We offer high flexibility in system and plant building and modification due to compatibility with all mk systems. 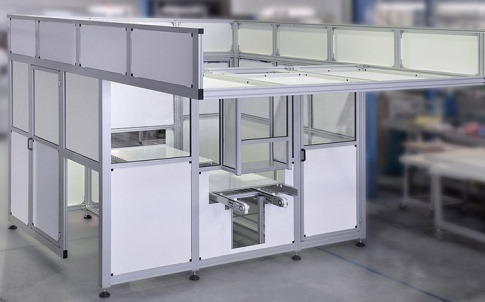 We can provide factory equipment in the form of guarding systems, gangways, stairs, platforms and work stations for the office, shop floor, assembly hall or any other area where required. 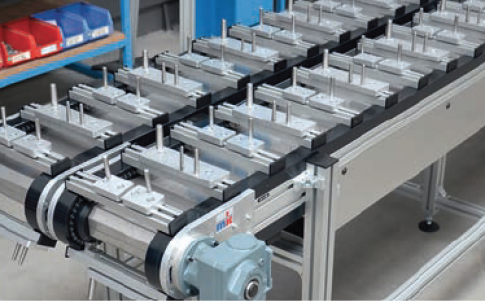 mk’s Linear Motion range includes slide rails, rollers and fully assembled modules for materials handling applications with high levels of accuracy and repeatability. Our key customers come from areas such as automation, robotics, system integration, factory machinery, OEMs and end users however there really are no limits for the use of mk’s aluminium profile system. Many of our customers choose to have their designs assembled at the mk factory so the finished article is delivered directly to them, however we are just as happy to deliver a kit of parts to enable customers to assemble the goods themselves. We will work with you to find the best way to meet your requirements, budget and time constraints.